Mention Peru to anyone and the first thing they’ll envisage is Machu Picchu. The ancient Inca city, shrouded in secrecy until the turn of the last century, is the country’s foremost attraction, even though this land is actually brimming with an immense number of priceless treasures, most of them little-visited and – many of them in Northern Peru. 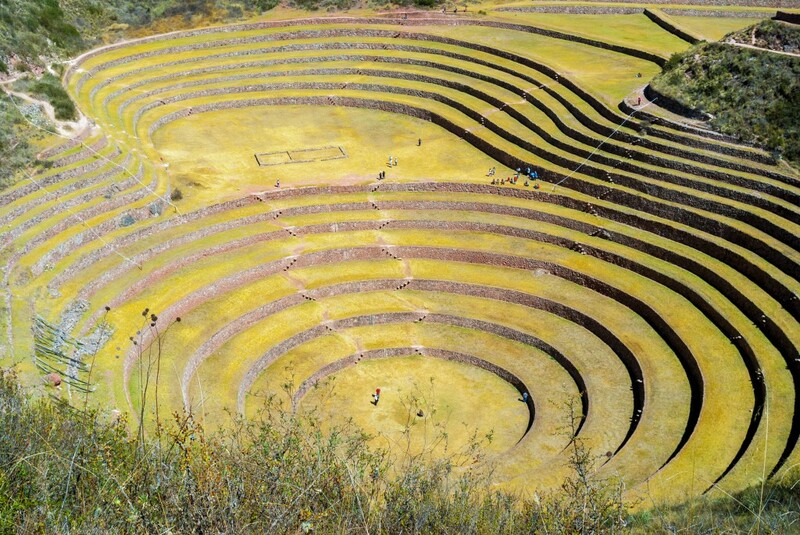 We certainly don’t begrudge Peru’s Sacred Valley her attention. We get it. When a place is this magnificent, why should it not take centre stage? We could argue, of course, that Peru is infinitely more than just one place, one taste, one site. It’s more than a single llama, or a sip of Pisco sour, or a garish photo of a char-grilled guinea pig still bearing talons and fangs. As charming as that is, obviously. Peru is a kaleidoscope of colours and smells, histories and cultures. It can be as diverse and contrasting as a dozen different countries, with her myriad of treasures still itching to be discovered. Peru is magnificent mountain landscapes and ancient cities hidden in the heart of her deserts, and her forests. She is a product of a dozen ancient cultures, each with its own charm, architecture and everlasting footprint. Want to experience a side of this country few venture to see…look up! Here are just some of the hidden treasures you can discover in Northern Peru. Set humbly at the foothills of mighty Huascaran – at 6,768m, this is Peru’s highest peak – Huaraz is one of the most charming mountain towns in Peru. 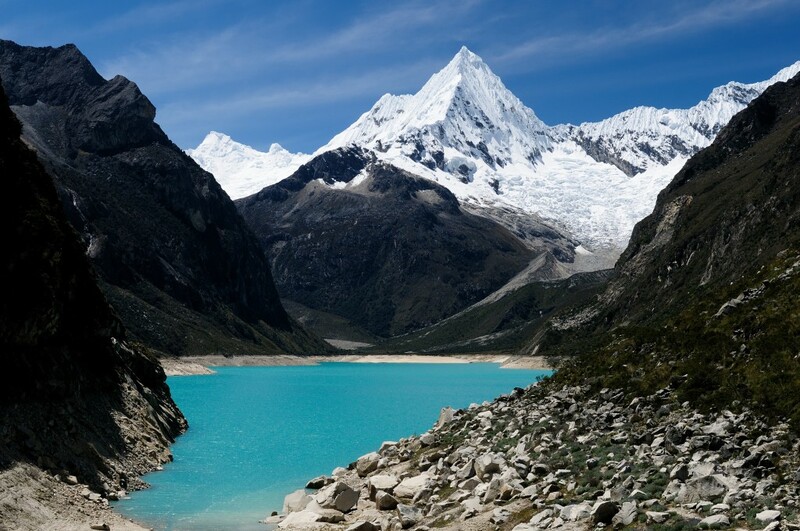 The springboard for fantastic and arduous treks along the imposing Cordillera Blanca, Huaraz oozes an energy that’s hard to describe. This is a hub for hard-core trekkers and serious mountaineers, who flock here from every corner of the globe. They pack ropes and carabiners; they talk quickly and excitedly about their impending treks. 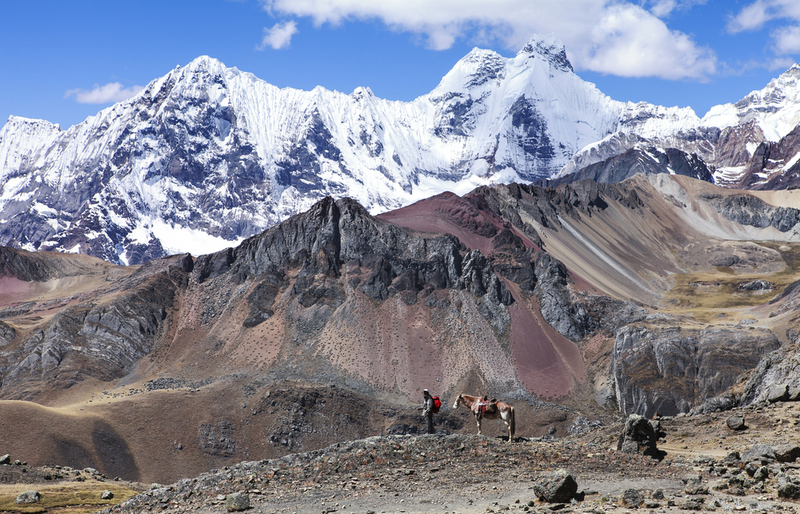 It is often said that show-offs go to the Himalayas, and serious mountaineers come to Northern Peru. As we always like to say: it’s the crazy ones who come here. The Cordillera Blanca is a breathtakingly spectacular stretch of the greater Andes, home to more than 700 glaciers, and over 30 peaks past 5,500m in altitude This mountain range stretches for only 200kms north to south, and a mere 21kms east to west. For vertiginous peak junkies…this place is Utopia. Of course, one need not be a supernatural-mountain-Houdini to enjoy this incredible region. With a multitude of shorter and easier, yet equally rewarding hikes, stunning glacial lakes to visit and incredible peaks to admire, a few days in Huaraz are bound to revitalise the spirit, no matter how far one walks. 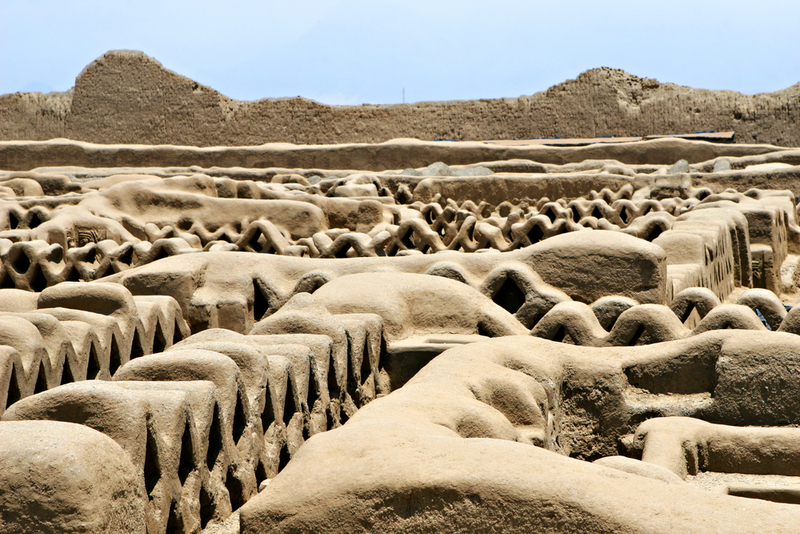 A pre-Columbian city made entirely of packed mud, Chan Chan is a sight to behold. First-time visitors are usually left dumbfounded, both by the immensely detailed carvings on the mud walls, and the knowledge that this complex has remained almost untouched for millennia. Chan Chan is South America’s largest pre-Columbian city and was the capital of the Chimor Kingdom over one thousand years ago. Before the Incas waltzed in and took over, this place was hip and happening. Descendants of the Moche people, the Chimu were mighty and far-reaching and, at least according to experts, were the only ones who had a chance of defeating the Incas. Something in which they failed. Considered one of the most advanced pre-Columbian cultures in South America, the Chimu were masters of ceramic and metal artefacts. Chan Chan is the single biggest and most important remnant of this culture in the world. And you can walk right through it. 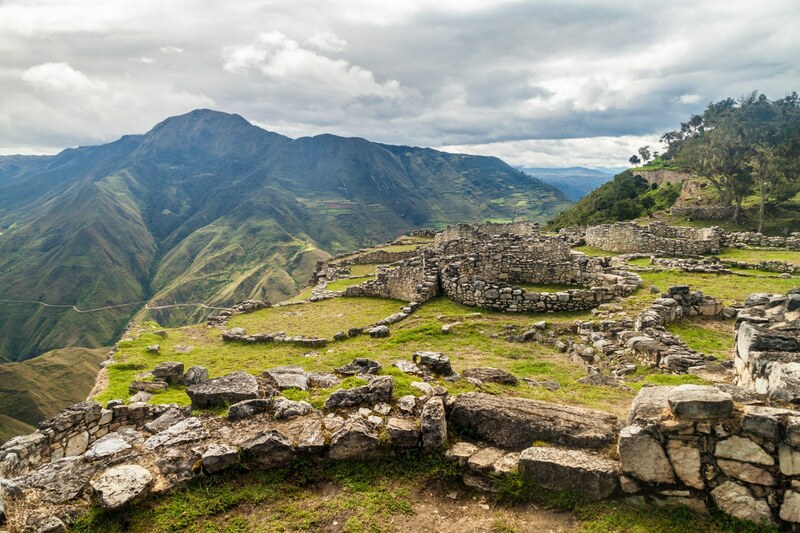 The colossal ancient complex of Kuelap is known as the ‘Fortress of the Cloud Warriors’ and, to many, it leaves even legendary Machu Picchu in its historic wake. Over 600 metres in length, and boasting walls that rose up to 19 metres, this fortress brimming with hundreds of houses and temples is still shrouded in much mystery. Constructed by the Chachapoyas, for precise reasons no-one has yet to decipher, Kuelap is one of the largest ancient stone-carved monuments in the world. Built on the side of the Andes in the Amazonas Region, at a head-spinning altitude of 3,000 metres, Kuelap is believed to have been inhabited for 1,000 consecutive years. Historically, and indeed architecturally as well, this is one of our modern world’s most treasured sites. When Peruvian Minister of Tourism, Jose Martinot, commented in 2011 that 70% of tourists to Peru come only to visit Machu Picchu, he mentioned Kuelap as a worthy comparable contender in the north. His aim is to make this site just as famous and plans are already under way to build a cable car to make it easier for the masses to visit. Visit before any of this happens. Hike up the good old fashioned way, and trust us that it will be one of the most rewarding off-the-beaten-path experiences you’ll have in the entire country. You know you’ve stumbled upon a pretty special museum, when you’re told you’re not allowed to take photos as National Geographic own the rights to the exhibits. All of them. Up until a few years ago, this incredibly impressive museum barely even recorded a notch on the tourist trail. Astounding when you consider that, within its walls, lies South America’s answer to the Mask of Tutankhamen. When it comes to the contents of the ancient tomb of a prominent cultural leader, the Lord of Sipán treasures would certainly stand in good light against anything housed in Cairo’s famous museum. 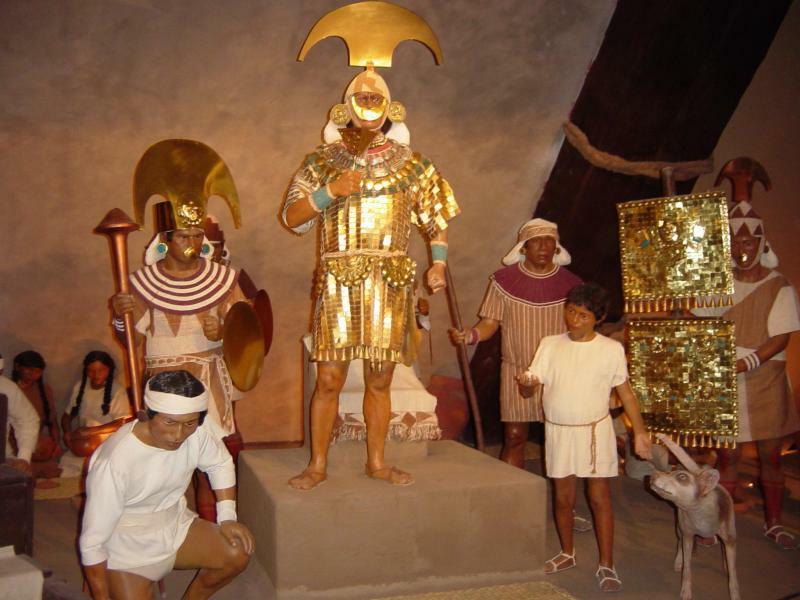 In Lambayeque, a northern Peruvian town in the heart of ancient Moche and Chimu lands, is where you’ll find The Museum of the Royal Tombs of the Lord of Sipán. One of several mummies discovered in exceptional condition in the Peruvian desert Moche site of ancient Sipán, the Lord of Sipán (which in English more accurately translates to ‘The Man of Sipán’) and his regal treasures date back at least 1,700 years. Brilliantly displayed over three comprehensive floors, the museum grants an unrivalled glimpse into what has become the single most prominent archaeological find in the Americas in the last 30 years. This museum is an absolute must for history buffs. The vast collections of precious gems and metals are just astounding. 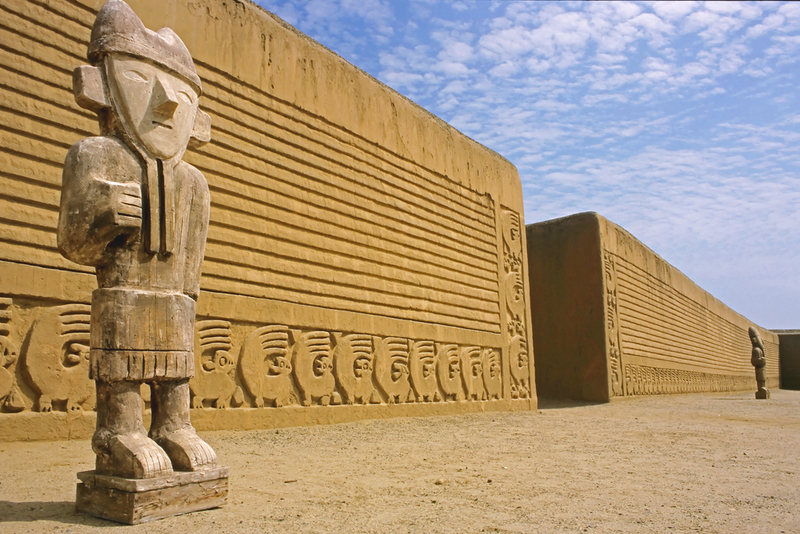 Over eight centuries ago, Northern Peru was ruled by the Moche civilization. The culture was advanced, sophisticated and extremely productive. We know this because of all the incredible treasures, architectural or otherwise, they left behind. They built beautiful cities, they were magicians with their hands and created astonishing artefacts. The collection of impressive temples, pyramids, palaces, fortresses, funerary complexes and structures is so extensive, that the Peruvian government has busied itself formulating a bonafide ‘Moche Route’ through Northern Peru, comprising infrastructure and information so tourists can flock to the dozens of sights scattered along coastal and inland Peru, north of Lima. Many of the sites are still being excavated and, without shadow of a doubt, more will continue to be discovered. Aside Chan Chan and the Lord of Sipán treasures, you can visit the breathtaking Temples of the Moon, the Pyramid of the Sun, and at least half a dozen museums showcasing all the intricately carved and incredibly beautiful treasures constantly discovered here. The only bummer about this part of Peru is that, at least for now, modern tourist infrastructure is still in its infancy. Sites are far between, often hidden in the bosom of forests, or high up on some mountainous plateau. Ask us about our comprehensive tours of Peru’s Northern Kingdoms and, together, let’s come up with a wicked itinerary that’ll take in all of these truly unforgettable, but hidden, treasures.